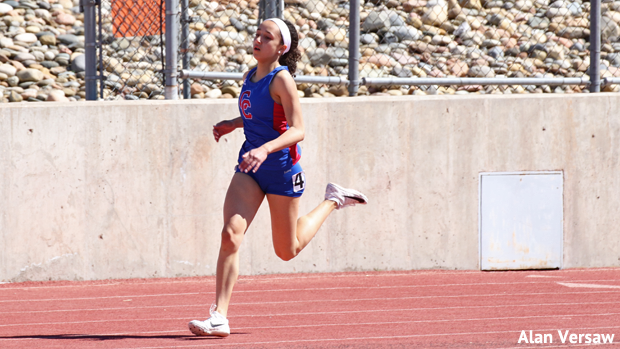 In the list of new names to think about, be sure to leave some space for Cherry Creek's Kel McDavid in the 400, and probably other events of similar distances. There have been a very large number of meets biting the dust early in the 2019 outdoor season. Snow, cold, ice, wind,... whatever. But none of that has been happening in Pueblo. In fact, other than some wind last weekend which blew away a few potential qualifying marks, it's been rather nice for track and field the last two weekends in the Steel City. The blasting heat of summer hasn't arrived yet in Pueblo, but the early springtime temperatures have been a good deal more pleasant than elsewhere in the state. And, for the second consecutive weekend, Dutch Clark Stadium has been home to a long list of nice performances. And, this weekend, that long list included a hefty roster of teams that had lost either two or three days of practice to last week's "bomb cyclone" weather event. We'll leave it to the experts to explain why there were so many solid performances on Saturday. Meanwhile, I'll simply report on said performances over the next two pages.